FanClutch.com - Your Source for Fan Clutches, Fan Blades & much more! Welcome to FanClutch.com, your one-stop shop for heavy duty fan clutches and fan blades. 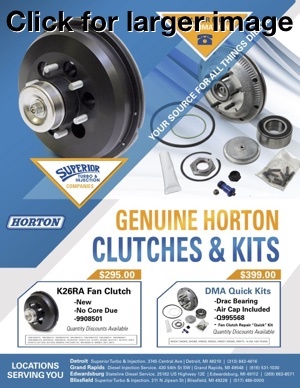 We have thousands of clutches and fan blades in stock for your truck or car. FanClutch.com continues to build upon our 30+ years of experience in the truck parts industry. Our fan clutches and fan blades are from major manufacturers including ADC®, American Cooling Systems®, Behr®, Bendix®, BorgWarner®, Caterpillar®, Cleanfix®, Cummins®, Detroit Diesel®, Eaton®, Evans®, Facet®, Ford®, Freightliner®, GMC®, Hayden®, Horton®, Huber®, Kenworth®, Kysor®, Linnig®, London Fan®, Mack®, Multi-Wing®, Navistar®, Peterbilt®, Rockford Powertrain®, Schwitzer®, Sterling®, Volvo®, Western Star®, and others. Even with all the fan blades we stock there are unique situations. FanClutch.com can custom make blades to your requirements, keeping your trucks making money for you. Many people replace more than just the fan blades or fan clutch. 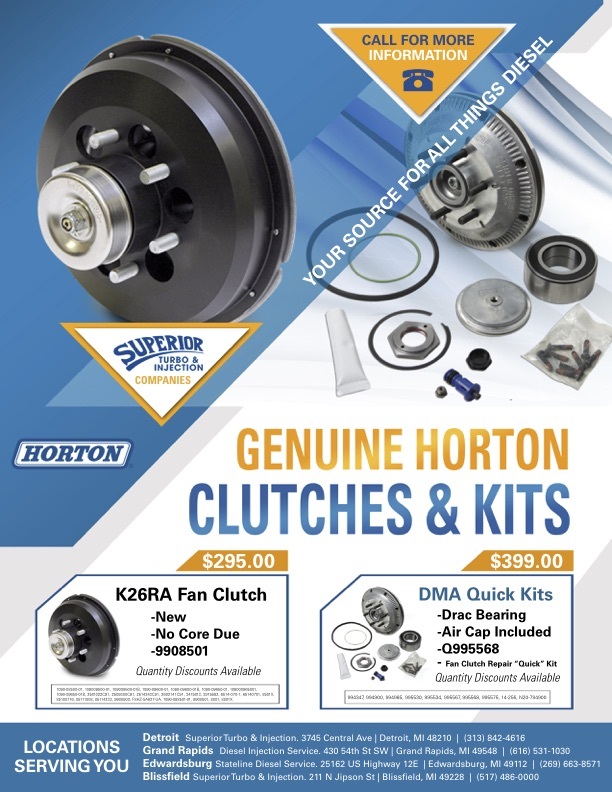 FanClutch.com also carries a full line of fan clutch controls, tensioners (also known as idler pulleys), fan belts and shutters. We also have a wide selection of repair kits and tools to make the process easier. Anti-Spam Question What day is two days after Saturday?